How did this one get by me? 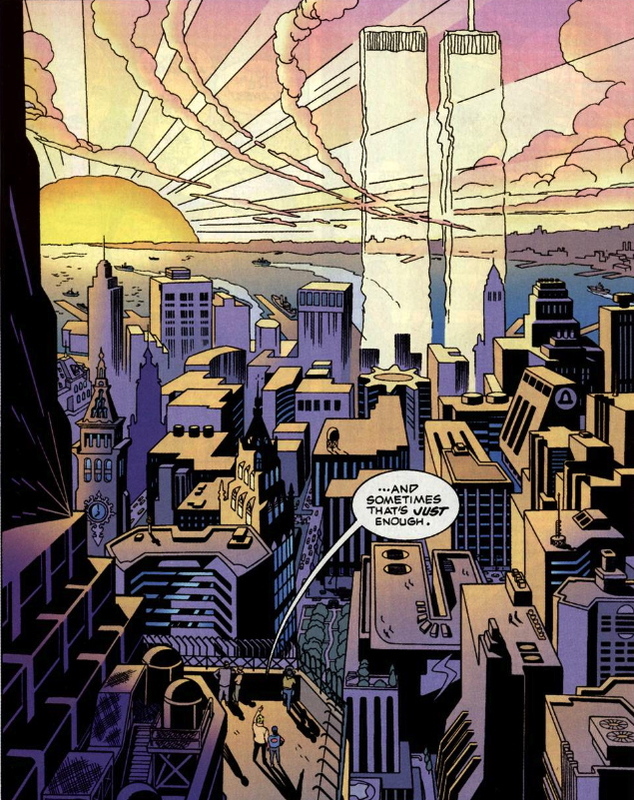 In 2003, Marvel commissioned Bruce Jones (writer of the terrifically violent Twisted Tales anthology, and the man who rescued The Incredible Hulk in the early 2000s) and Steve Rude (creator of Nexus) to write a “different” kind of Cap story. It wasn’t a spy story, it wasn’t a patriot-to-the-rescue capes-and-tights story…It was a street-level tale, in which Steve Rogers appears more out of costume than it. But along the way it examined the meaning of the heroic image of Captain America, who is being turned into a Vegas amusement park, and the meaning of friendship and betrayal. 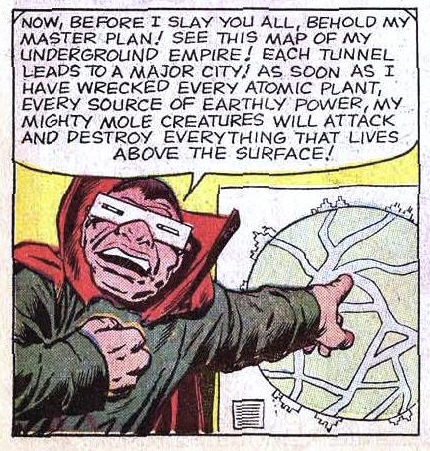 A panel from each of the four issues of this wonderful mini…. First, in issue #1, Steven Rude shows his skills at combat Cap. This art alone should make you want to buy this comic. But in #3, Bruce Jones shows his adult-orientation. 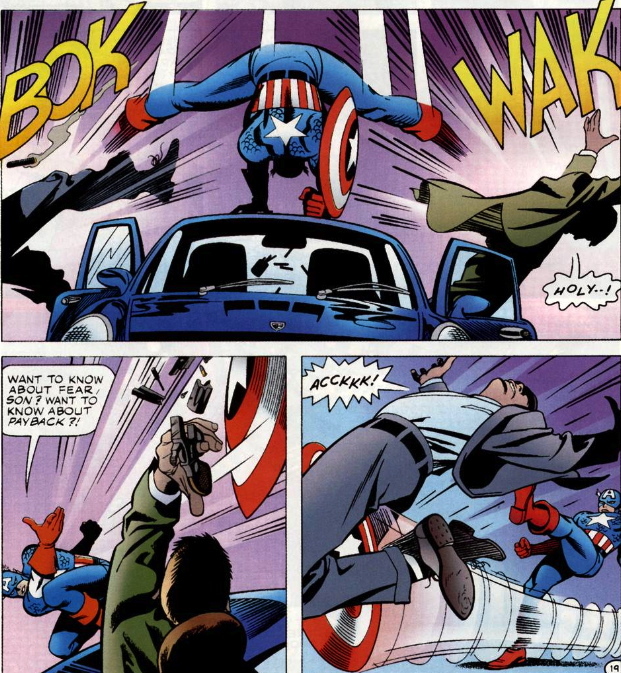 It’s a very disturbing sequence in which a SHIELD agent who has been shadowing Rogers, to help him if he gets in too deep, is captured by the mob bosses. Rather than blow his cover as “tourist” Steve Rogers, he denies knowing her and lets her get shot in the head. It makes no difference that she really doesn’t die–the fact is, Cap was ready to let her die. 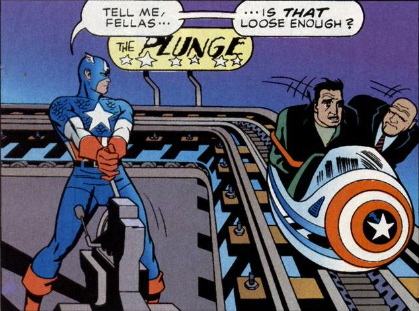 This is the only place where the series kind of misfires, since it is hard to imagine Captain America ever doing this. At the same time, though, Jones is exploring a more mature theme here–the idea of heroism being something that is necessarily dark. A side-story involves a Persian Gulf War Vet who was shot in the back by one of his own comrades. At the very end, without giving away the noir-ish twists of the plot (which are almost a little bit too complicated at spots), Jones and Rude pay tribute to 9-11. 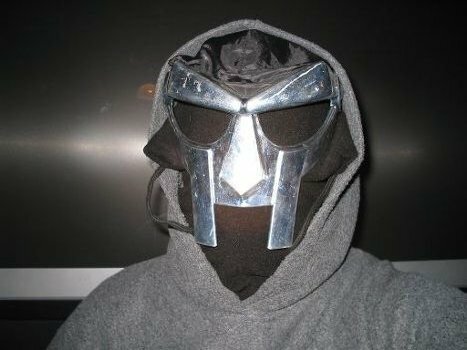 It’s not corny, though–it fits perfectly in a story about the shadows cast by heroes over the people they protect, and the meaning of idols when they come crashing down around us. This is one of the best Captain America stories I’ve ever read.